Ever since the first time I tried Eggs Benedict, I have been in LOVE with Hollandaise Sauce. Something about that ooey gooey, creamy, buttery goodness that I just can’t get enough. But since the two main ingredients in traditional hollandaise sauce recipes are eggs and butter, it can end up being a pretty fattening sauce, loaded with Weight Watchers Points. By making a few small changes, I slimmed it down, and made it a much more weight watchers friendly recipe. This delicious and easy hollandaise sauce recipe works well over eggs, salmon, toast, or roasted veggies (like asparagus). Treat yourself to a gourmet and decadent dressing that the whole family will enjoy. A lighter and healthier hollandaise sauce, this creamy concoction will blow your mind. 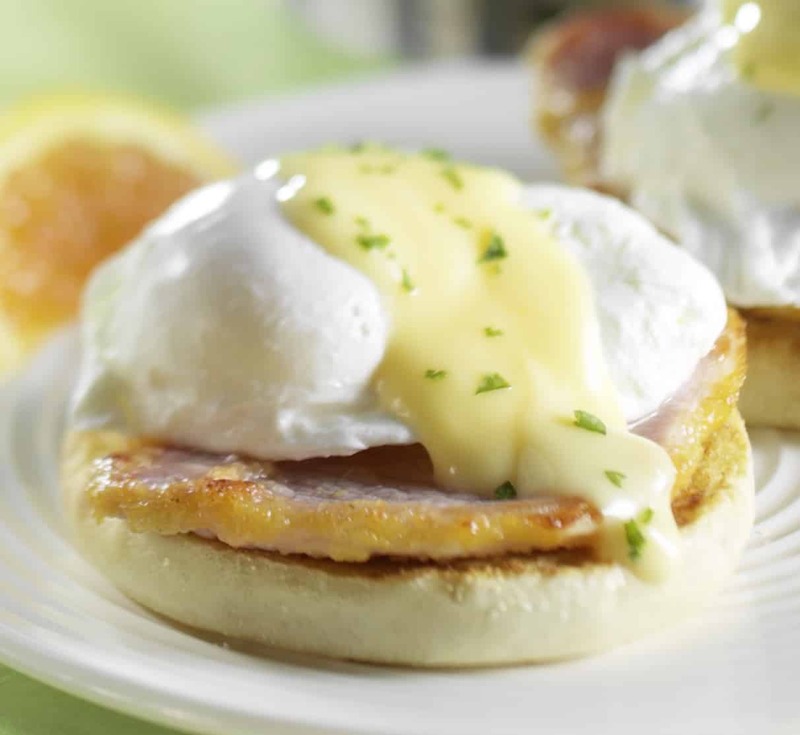 Delicious and buttery, this low calorie hollandaise sauce is mind blowing. Start by melting the butter in a small saucepan on low heat. Cook until butter is melted and turns golden in color. Set aside. any thoughts on what to do if you don’t have egg substitute? 1 egg? You can use egg, but it will raise the Points Plus value a bit. Two egg whites is about a quarter cup and 30 calories. I never buy egg substitute. I always use egg whites. That’s what egg substitute is. WOW! WOW! WOW! WOW! WOW!! I just put this on baked cod. Definitely 2 thumbs up! I did use lemon pepper instead of salt. You are my favorite lo-cal website!! Thank you, Thank you, Thank you. I just made it! It’s delicious! Where do you find Non-fat Buttermilk? Thank you for this recipe! Hollandaise sauce was killing my points and it is one of my favorite things. This is easier to make and tastes great (though I did add a lot more Lemon Juice than you called for).